It is no wonder why Pulitzer and Nobel Prize-winning author John Steinbeck based many of his famed novels in the Salinas Valley and southern Monterey County. 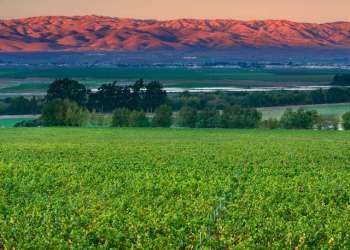 The Salinas Valley, fondly nicknamed the Salad Bowl of the World, offers up much more than just agricultural bounty and scenic beauty. Rock climbing, museum tours, wine tasting, cattle drives, and shopping are all just a sampling of the wealth of activities that can be found here. Below is a just a glimpse into the plethora of activities that one can do in three days. There are plenty of other ways to grab life by the moments in the iconic Salinas Valley. See our "10 Things to See & Do in the Salinas Valley" and create your own itinerary. Check in at the Inn at the Pinnacles and cozy up in this charming luxury bed and breakfast, nestled among vineyards in the Gabilan Mountains. Here, all the dust and grime of your work week will disappear, and serenity begins as you step into your room&apos;s oversized soaking bathtub. After a good night&apos;s sleep and a delicious complimentary gourmet breakfast, get ready to step it up a notch and hike around Pinnacles National Park, just steps outside your hotel door. Enjoy the natural splendor and witness condors in flight, climb breathtaking rock formations, discover mysterious caves, smell the endless wildflowers when in bloom and just "be". Hey, it&apos;s your vacation! After you explore the wonders of this national treasure, drive South on Highway 101 and wonder over to the Soledad Mission. Soak up the history of South County with a quick throwback to the native, mission and rancho eras. Built in 1791, the Mission Nuestra Senora de la Soledad is the 13th of the 21 California Missions. Truly "wine-d" down and stop along a few of the many boutique wine tasting rooms along the River Road Wine Trail. Hahn Estates and Paraiso Vineyards in particular have unbeatable views of the Salinas Valley, not to mention some killer Pinot Noirs! Make your way north on Highway 101 to Salinas and check in at the Courtyard Marriott. Then venture for an evening in Oldtown Salinas and enjoy dinner at Giorgio&apos;s, one of the hippest venues in the new 201 Main Complex. Spend the earlier part of your day at the National Steinbeck Center. The center pays homage to Pulitzer Prize-winning novelist John Steinbeck and his many contributions to the Salinas Valley. Continue to stroll around this charming and historic area, while shopping at the local boutiques. Your lunch awaits just down the street at the Steinbeck House, where John Steinbeck was born and raised; you are sure to love the charming Victorian home, warm buttery rolls and fresh Salinas Valley salads. 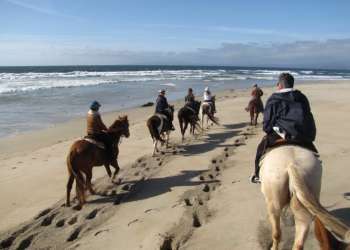 Once your belly is full, take a half day tour with Ag Venture Tours and immerse yourself in knowledge about this vital region or visit the exotic animals at the Monterey Zoo. Enjoy this memorable time in Salinas Valley, and learn for yourself how this area is such an engine for historic, cultural and natural beauty.